The MU Veterinary Medical Diagnostic Laboratory (VMDL) is a resource for public health, wildlife conservation, companion animal owners and agricultural stakeholders throughout Missouri. The VMDL is a Level I Laboratory of the National Animal Health Laboratory Network. Working with the U.S. and Missouri Departments of Agriculture, the VMDL plays a major role in early detection, testing, and during and post outbreaks of foreign and emerging animal diseases, such as avian Newcastle disease and high pathogenic influenza, African swine fever, foot-and-mouth disease, and antimicrobial resistance. Each year, laboratory faculty and staff perform 130,000-plus diagnostic tests, many for agricultural animals, such as cattle, poultry, horses, pigs, goats and sheep. In collaboration with the FDA, the VMDL routinely investigates animal feed- and drug-related illnesses. In collaboration with the Missouri Department of Conservation, the VMDL tests for various diseases, including chronic wasting disease in wild and captive deer and elk, as well as the meat from Missouri’s Share the Harvest program. Chronic wasting disease (CWD) is deadly in deer. Ultimately all deer infected with CWD will die from the illness, but it can take years for an infected animals to show symptoms, such as excessive salivation, tremors and lack of coordination. CWD can only be confirmed by testing tissue samples after the animal dies. While there have been no reported cases of CWD in humans to date, data from cell cultures and other work have raised concerns about species barrier. As a safeguard, the Centers for Disease Control strongly recommends hunters have harvested deer tested for CWD before eating the meat if the animal was harvested from an area where CWD has been found, and not consume meat from animals that test positive. During the 2018-2019 deer hunting season, the MU laboratory tested more than 1,000 samples of deer meat a day. Working 10 to 12 hours per day, the VMDL Serology team turned out results in three-to-four days, instead of two weeks. Not only did the quick turnaround give hunters a shorter wait time for processing the meat, the rapid data collection allowed researchers to gain more insight into chronic wasting disease and its potential to affect humans. The VMDL also actively assists the Missouri Department of Health and Senior Services in monitoring and investigating zoonotic diseases, such as rabies, tularemia, West Nile virus, Heartland virus, Bourbon virus, and Chagas disease. While the VMDL strives to uphold rigorous standards for service, education and research, work is hampered by outdated infrastructure. The main VMDL building, constructed in 1974 and comprising 21,144 gross square feet, no longer meets space needs and is not conducive to implementing biosecurity and biosafety protocols demanded by current standards. To safeguard people, animals and the agricultural economy of Missouri, a new diagnostic laboratory is needed. How Would a New VMDL Facility Positively Impact Missourians? More efficient and high-quality diagnostic service to veterinarians, producers and pet owners. Improved quality of veterinary education and workforce development. Successful implementation of biosafety policies and procedures to protect the health of employees and students. Successful implementation of biosecurity policies and procedures to prevent the spread of diseases in Missouri and the Midwest. Optimized building infrastructure and testing capacity for disease surveillance and response. Unifying the efforts by MU, state and federal regulatory agencies, and industry to protect and promote Missouri’s animal agricultural industry and the health of Missouri residents. Research collaborations with other universities and industry. Increased productivity that will ultimately contribute to the profitability and sustainability of the VMDL. 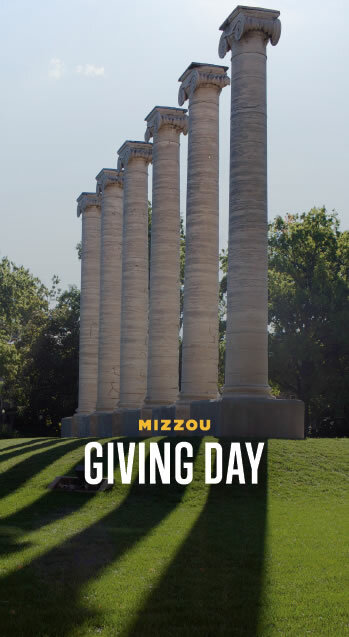 Please consider supporting a new diagnostic laboratory facility through a gift on Mizzou Giving Day.